Whisk 1/2 cup grated parmesan cheese, mayonnaise, sour cream, pepper, onion salt, and garlic powder in medium bowl to blend. Stir in chopped artichoke hearts. Transfer mixture to 3-cup ramekin. Sprinkle dip with remaining 2 tablespoon grated parmesan cheese italian cheese and paprika. 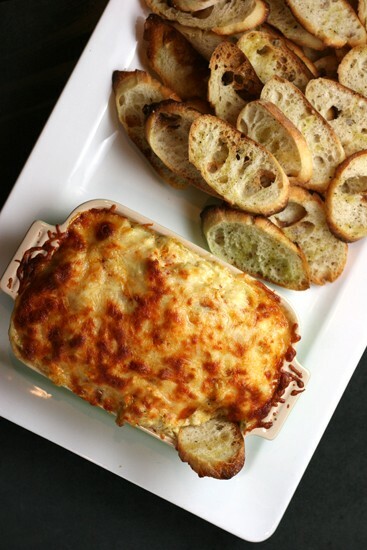 Preheat oven to 375 degrees F. Bake dip until heated through, about 25 minutes (about 35 minutes if chilled). Preheat broiler. Broil until cheese melts, about 2-3 minutes.